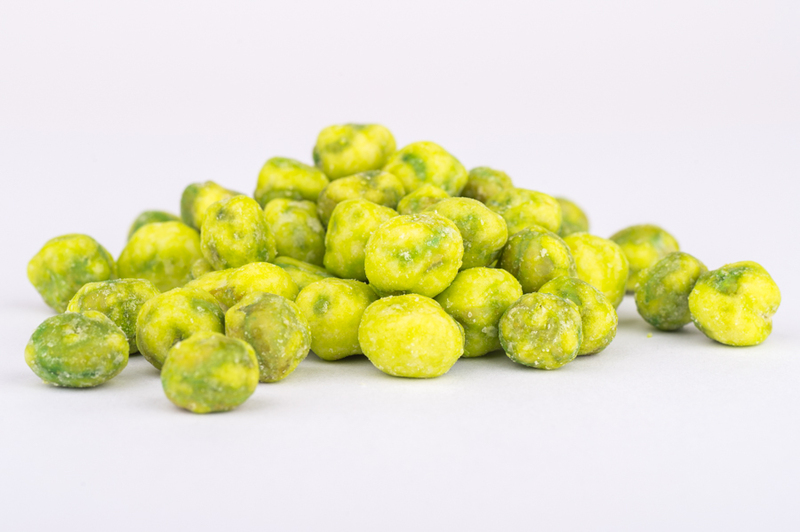 Product is coated green peas with wasabi seasoning. Product should have a crispy texture with a green/yellow colour and should have a typical spicy flavour. Green Peas, Modified Corn Starch, Corn Starch, Sugar, Salt, Soy Bean Oil, Wasabi , Artificial Colours. Individual bags are labelled with product description, allergen information, country of origin, best before date (end MM-YYYY), net weight and lot number. The product comes from a BRC accredited factory.